How do I create a new user? 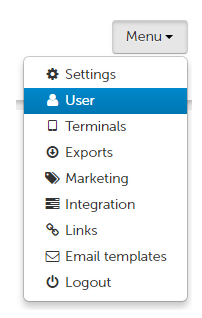 Click on “Menu” the choose "User" from the drop-down list. Click “Create user” to add a new user. Enter the user’s data such as gender, first name, last name, and email address. You can also assign specific access rights to the user. Choose if you want to make this user an administrator (1), specify the surveys to which the user should have access (2), as well as the access rights that you want to assign the user (3). You may find this article about users' rights interesting.